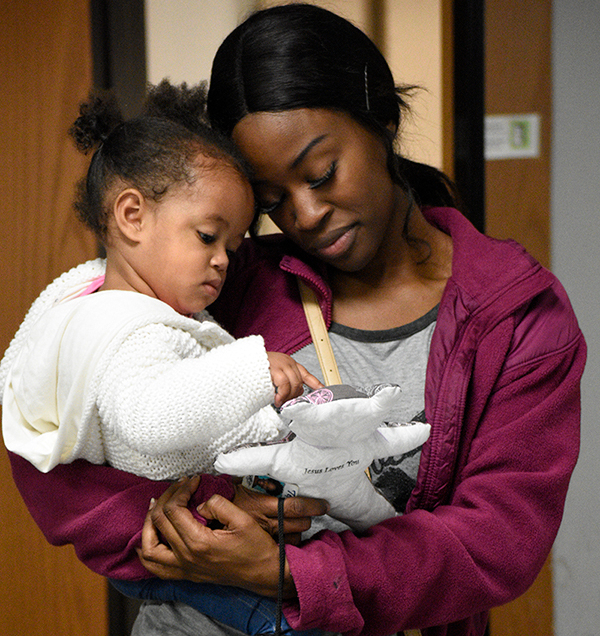 Crossroads needs 20 – 25 volunteers each day to ensure that our clients get the nutritious food they need in a quick, helpful and effective manner. We are actively seeking volunteers that can make a regular commitment to serve. Whether it is once a week or once a month, we rely on our volunteers to get clothing and nutritious food into the hands of those in need. Please complete the Individual Application and our Volunteer Coordinator will follow up with you. If you are under age 18, please fill out the Youth Application. Please note that volunteers must be AT LEAST 14 years of age to volunteer on their own. We welcome groups to volunteer with us! We have weekday opportunities to assist with the above listed areas. Group sizes of 30 or less individuals are ideal for our space, but we would love to work together even if your group size is larger! Please complete the Group Application and our Volunteer Coordinator will follow up with you. Create and update client profiles in the Crossroads database. Assist the accounting and/or development department with various administrative tasks. Sign Up for a Volunteer Orientation Here! Email the Volunteer Engagement Coordinator!